Thanks for the five-year reprieve, Mr. President. Salmonella are known killers. The food-borne bacteria poison 1.2 million Americans each year, resulting in 23,000 hospitalizations and 450 deaths. Astonishingly, it is not illegal to sell meat and poultry contaminated with salmonella, according to the current policies of the United States Department of Agriculture’s (USDA) Food Safety and Inspection Service—the folks who are charged with keeping this country’s meat supply safe. 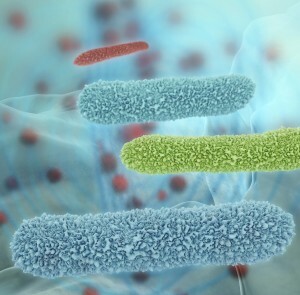 Three years ago the USDA denied a petition by the consumer group Center for Science in the Public Interest (CSPI) requesting that the agency declare four strains of drug-resistant salmonella adulterants, which would have made it illegal to sell food contaminated with them. These four bugs can survive regimens of modern medicine’s most powerful antibiotics, making them the worst of the worst in salmonella’s thuggish clan. Despite the evidence, the USDA turned away CSPI’s petition. Agribusiness representatives won the day by making the rather counterintuitive argument that the potentially deadly germs were simply too common, particularly in poultry. (Early this year, Consumer Reports found salmonella in 97 percent of chicken breast samples in grocery stores.) Eliminating them, they said, would be inconvenient and costly. What’s needed is not yet another foot-dragging “review,” but a quick, firm decision. I would suggest that the USDA take an approach like the one they used in 1994 when they declared E. coli 0157 an adulterant after that bacteria killed children who had eaten tainted fast-food hamburgers. That caused yowls from the same industry groups that are whining today, but infections from that notorious bug subsequently dropped by 58 percent. The CSPI’s move coincides with yet another example of the Obama administration’s paying lip service (and reaping huge PR rewards) to sustainable agriculture issues while doing absolutely nothing concrete to back up its fine words. Last month, President Obama signed an executive order telling three cabinet secretaries to come up with a five-year action plan to curb the abuse of antibiotics. Many resistant bacteria arise on farms where animals, even healthy ones, receive regular doses of antibiotics. These “Superbugs” kill 23,000 Americans a year. This delighted trade groups such as the National Pork Producers Council, who claimed that more research is needed. It disappointed biologists, physicians, and consumer advocates who have long insisted that the time for action to curb antibiotic abuse by agriculture is long overdue. When five years have gone by, 125,000 more Americans may have died needlessly.